Need concrete in the Hunter Valley? Hunter Valley Concrete is an independent ready mix concrete plant with the flexibility to suit your needs in addition to competitive concrete prices. Hunter Valley Concrete staff are not bound by the constraints of their multi national competitors and as such can "bend and flex" to fit in with you and your concrete schedule. Hunter Concrete Pump Hire is Newcastle, Maitland & Central Coast Area's first choice for professional concrete construction services. We offer competitive rates, flexible working hours and results that are second to none. We hire a large number of boom and line pumps with experienced operators and managers available for your assistance as and when you need it. We understand your concreting projects change daily and like are concrete pumps, are capable of bending and flexing to suit your needs. 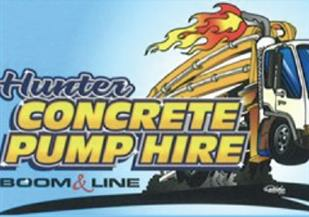 Hunter and Coast Concrete Pumping Pty Ltd is a family owned Australian company with over 25 years? experience in all facets of the concreting industry. We provide our complete service to our clients in mining, civil, commercial, industrial and residential. 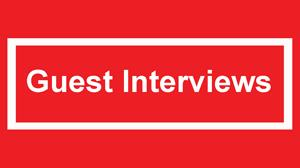 Hunter and Coasts vast experience and knowledge has taken us to work in Western Australia, Queensland and NSW. We strive to ensure our clients receive the best service possible, exceeding their expectations, working to fully meet the clients? needs, offering reliability and always leaving the site clean and tidy. JE & JA Moore in collaboration with Moorecivil Pty Ltd, is a family owned business in Singleton with local knowledge and over 35 years experience planning, managing and executing construction projects of all kinds. As well as earthworks services, Moorecivil also offer drainage and sewerage reticulation, plant hire and gravel supplies. Our team is professional and reliable and we will work within your constraints completing your project (large or small) with quality results, on time, and within your budget. Creating a beautiful enviroment is Garden Rescue's team of landscape gardeners. 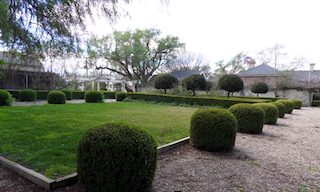 Designing & establishing gardens throughout the Hunter Valley. Garden Rescue in Muswellbrook NSW is owned and operated by Vicki Straney. 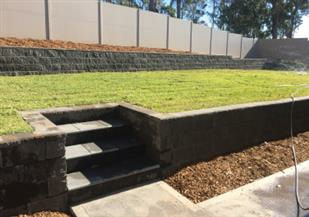 The landscrape gardening team at Garden Rescue has been designing and establishing gardens throughout the Hunter Valley 2004. They offer a wide range of services, if its outdoors, chances are they do it. Absolute Floor Polishing is a concrete polishing business based in Merrylands, servicing Sydney CBD, to the greater Western Suburbs of Sydney including Parramatta, Baulkham Hills, Epping, Liverpool and Bankstown to name a few. Absolute Floor Polishing specialise in Concrete Floor Polishing, grinding, polishing, cleaning & sealing of all types of Concrete, Stone work, Cement, Marble, Terrazzo, Sandstone, Limestone, Travertine and Tiles. 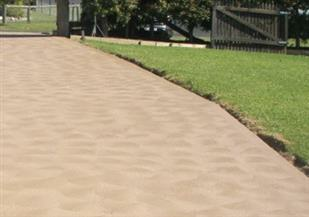 Diggers Concreting are your GFRC Specialists in Newcastle, the Hunter Valley and throughout the Central Coast. From polished concrete bench tops, to concrete table tops, countertops and concrete tables on stainless steel bases they can create a magnificent look and feel for your home, business or commercial marketplace. Having worked with restaurants, bars, commercial shop owners and members of the public Diggers are trained and experienced in the art of Glass Fiber Reinforced Concrete. Having worked with concrete, precast concrete and now GFRC the principal's at Diggers Concreting are in tune with concrete, timber, steel, formwork and all the raw materials utilised in the manufacture of stunning table tops, counter tops and benchtops. 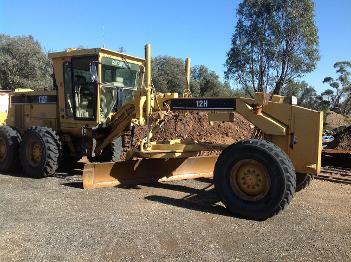 The Civil division of the business has been based in the Hunter Valley since 1987. We are a family owned Australian business that employs 70 people throughout the Eastern Seaboard. Wild Quarries was established in 1995 with its first quarry approval in Muswellbrook NSW, and most recent hard rock quarry commencing production in February 2013 in the Hunter Valley. We have several quarries within the Eastern Sector and provide a diverse range of raw and processed quarry materials that meet NATA Specifications. J & J concreting are experiencing concreting professionals for all your concreting needs. Whether it's concreting for your house, driveway, shed, retaining wall, pool, patio or pergola, if you're in the Hunter Valley of NSW, your'e in the right place with J & J. Don't spend money on your own form work or tools, J & J have them covered. Don't spend money on slab preparation, J & J have their own digger. 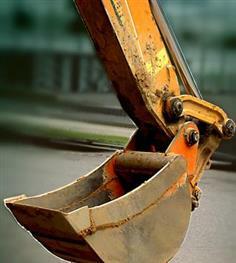 Don't worry about crusher dust or fill for your site, they'v'e got their own tipper. That's right, J & J are the complete bottle when it comes to concreting. You no longer need to settle for less, now you can settle for the best. Experience, service and professionalism. Call J & J for your next concrete project, you won't regret it! We are a family run operation that has been in business for 15 years. 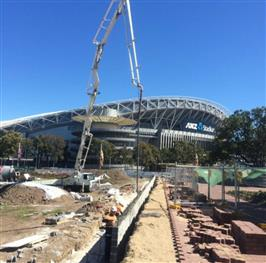 Allout Concrete Pumping commenced operation in 2003 and since then, we have successfully completed numerous projects with individuals, small business and major construction companies in Newcastle, Hunter Valley and Lake Macqaurie. We pride ourselves on getting the job done right the first time, and we strive to go above and beyond our client expectations. 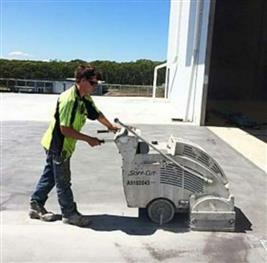 SC Concreting and Labour Hire p/l are licensed and Insured, All types of Concreting are performed by their crew of concreter's who are known for performing top quality concrete jobs. They have over 25 Years experience on the Central Coast, Newcastle and Hunter Valley Region in NSW. With SC Concreting and Labour Hire p/l you are guaranteed of professional concrete workmanship. Whether its driveways, exposed aggregate, decorative concreting, slabs, paths or shed slabs, SC Concreting and Labour Hire P/L are ready to complete your concrete project and meet your every expectation. Machine hire, piering and all concrete jobs will be considered. Whether it's a civil or residential concrete project you need completed, SC Concreting and Labour Hire Pty Ltd are your concreting solution. Valley Civilab delivers expert and accurate engineering solutions spanning the geotechnical and environmental consultancy sectors. Our experienced team of geotechnicians undertake materials testing and associated technical services in our NATA-accredited laboratory. This includes concrete testing, aggregate testing and soil classification and testing. Valley Civilab also operate a modern fleet of geotechnical drill rigs capable of performing investigations to suit most site investigations for geotechnical & environmental applications. We work with a range of industries spanning building, mining and infrastructure throughout Lake Macquarie, Newcastle, Maitland and the Upper Hunter, Central Coast, North Coast, Central Tablelands, Central NSW, New England and Northern Rivers as well as the Northern and Western Regions of Sydney. JJJ Precast Pty Ltd has come a long way. The brainchild of these three Paterson locals stemmed from Jason Hick's early days working in a precast factory, where he learned all the tools of the trade. It wasn't long before Jamie and Jason Gilbert were manufacturing precast panels and sending them everywhere from Sydney to Toowoomba. With John Rapson providing the accounting and professional touch to their business these licensed concreter's are a force to be reckoned with in the precast world. They create concrete precast panels for horse stables, retaining walls, tunnels, bridges, even houses! So if you are in the Hunter Valley of NSW, and are thinking Precast Panels, look no further than JJJ Precast. Remember the name Triple J Precast! TONY PARTRIDGE CONCRETE "IF THERE'S CONCRETE IN IT, WE'RE THERE"
NEED A PUMP FOR YOUR NEXT POUR? DOES YOUR GARDEN NEED RESCUING? DO YOU NEED A SLAB PREPARED OR EARTHWORKS PERFORMED?